Agreed upon by the Assembly of Divines at Westminster, with the assistance of commissioners from the Church of Scotland, as a part of the Covenanted Uniformity in Religion betwixt the Churches of Christ in the kingdoms of Scotland, England, and Ireland. Larger Catechism Of Westminster Assembly was published by Banner of Truth Trust in June 2015 and is our 25817th best seller. 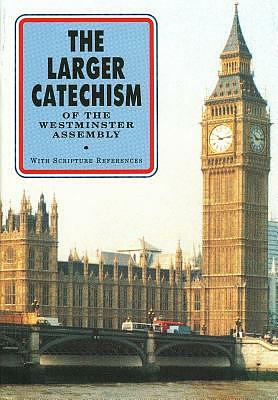 The ISBN for Larger Catechism Of Westminster Assembly is 9780902506435. Be the first to review Larger Catechism Of Westminster Assembly! Got a question? No problem! Just click here to ask us about Larger Catechism Of Westminster Assembly.